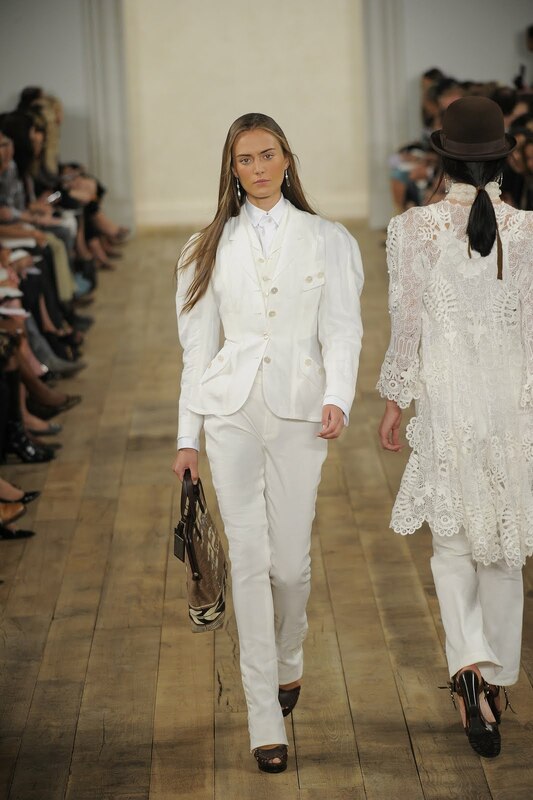 For spring/summer 2011 Ralph Lauren gave classical styles a modern make-over and presented cowgirl couture mixed with Victorian elements for Park Avenue princesses. 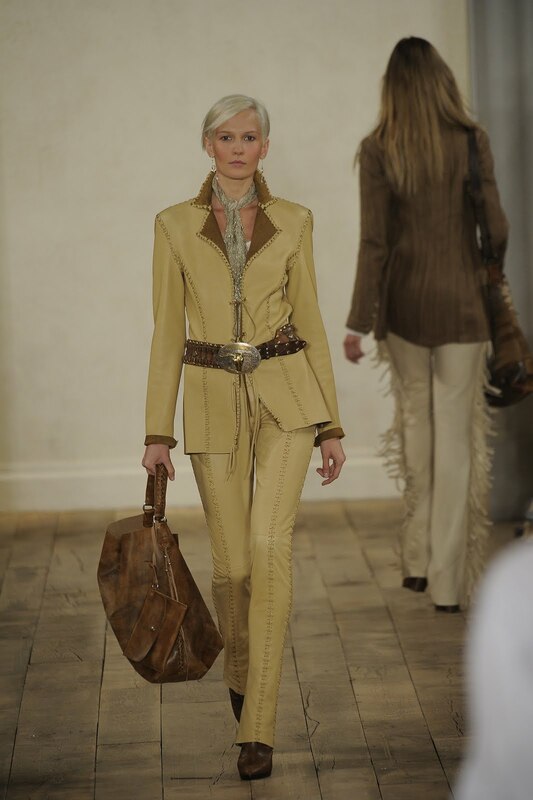 The Western inspiration was reflected by belts with embossed bulls heads, cuts that reminded of Can Can saloon dancers' dresses, studded chokers and fringes on skirts, jackets, trousers and dresses. 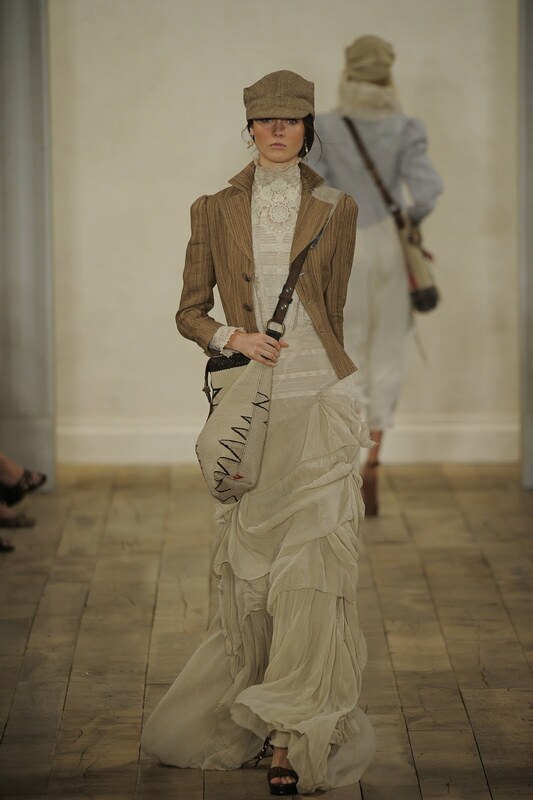 In addition to the classical Wild West styles there were pieces that looked as if they've been taken straight out of the wardrobe of Dallas - another kind of Western inspiration. 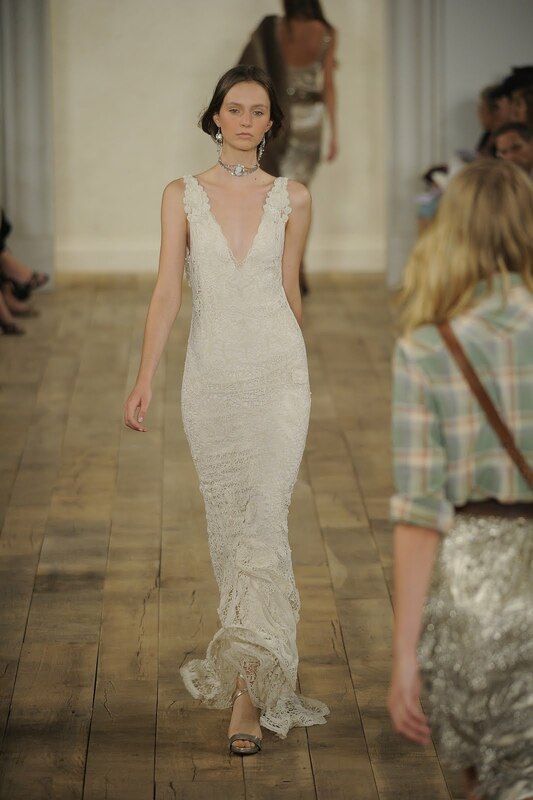 In contrast to the cowgirl theme Ralph Lauren showed lace dresses and blouses with high collars and completed the Victorian look with derby hats.